Can you believe it? It's already time again for another edition of Humanoids of Surly. I guess time really flies when you're trapped in a constant shame spiral though. Anyway, today's featured Humanoid is Slim Wonder. Slim has owned his fair share of Surlys (Surlies?) but he's currently putting his Midnight Special through the paces. In as much as any of us knows who we are, I’m just this tall, thin, fly kid with cool socks. 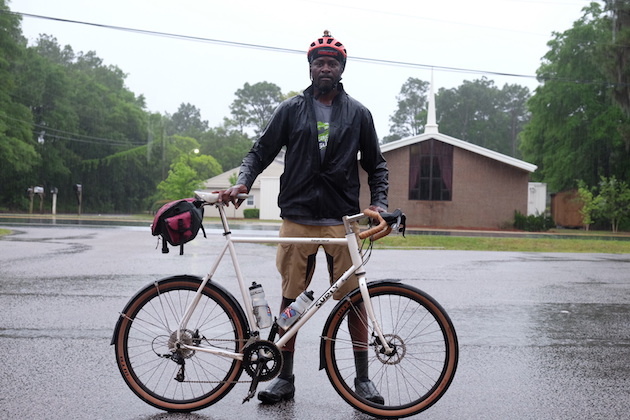 I was born in Sierra Leone and moved to Mississippi when I was 10 (more or less a lateral move) and that’s where I went through my formative years riding bikes, playing soccer, and skateboarding. I was never any good at any of those things, but it seemed like fun, so I still try to do them as much as I can. I’m a dad of three boys who humor me. They’re patient and tolerate my peculiarities. I try not to force them into doing the stuff I like because when they ask me why I like stuff I tend to not be able to answer them. I like listening to music on vinyl. I don’t know if I believe it actually sounds better but it’s active listening, so I hear more. There’s a whole process to preparing the record and putting it on the turntable and being ready to flip it over, that forces you to focus on the act of listening, so I hear more because I’m paying more attention. I get the same thing out of riding bikes. It forces me to actively pay attention to the world around me, the roads, the traffic, the trails, tree branches and roots, everything is just clearer when I ride. My friend Eric had a BMX bike, I think a Murray, and he would jump speed bumps. I wanted to be like Eric, so I begged my mom to get me one too. It cost more money than she’d ever spent on anything ever. I think it was eighty bucks. So, I’ve had a bunch of Surlys over the years and I like them because of the versatility. 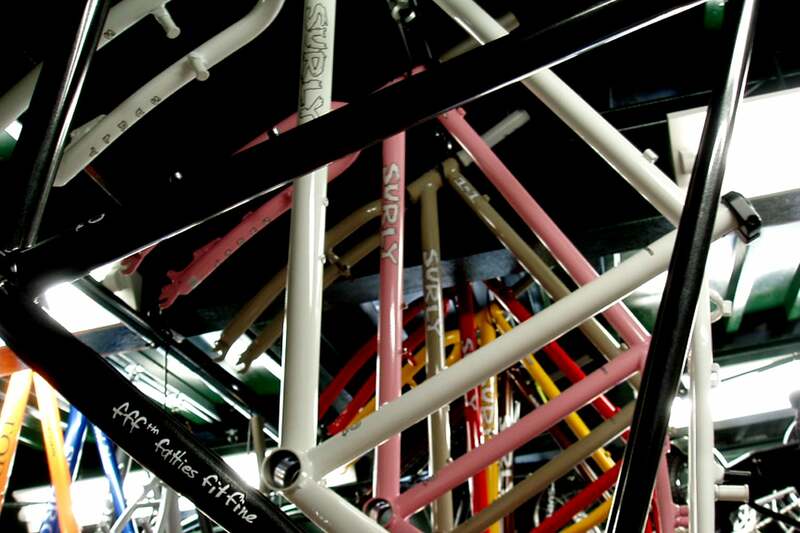 I tend to swap parts around and change tire sizes and add and remove racks and fenders in the quest for the “One-bike-to-rule-them-all” and Surlys tend to lend themselves to my bike related A.D.D. Right now, the Midnight Special fits that bill. 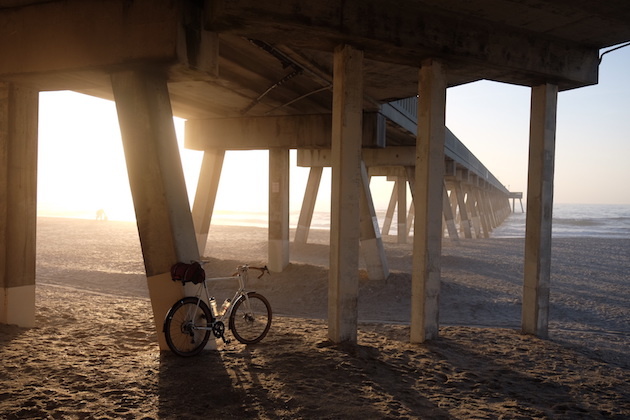 Most of where I ride right out of my door is paved and flat and I like to sprint from traffic light to traffic light, so I like the road bike geometry it offers, but I have a tendency to spot alleys and hobo trails and ask myself “what’s down that way” and dart off course. The ability to run fat tires and still maintain that road bike feel is what I love. I’ve had fat tires on drop bar mountain bikes, but they still felt like mountain bikes which is cool when I want to ride a mountain bike or for bike packing and Uber long multiday outings. But for PR’ing my commute or a day of exploring the roads and trails and alleys in the city or the gravel roads in the Holly Shelter Game Lands, I really like the fast road bike feel of the Midnight Special. 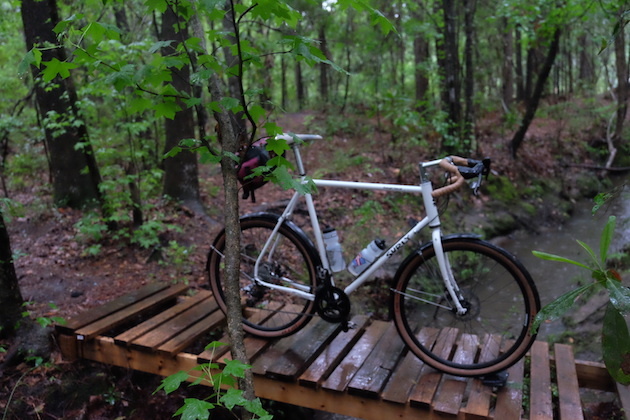 I run 48mm Compass tires on it and fenders because rain. 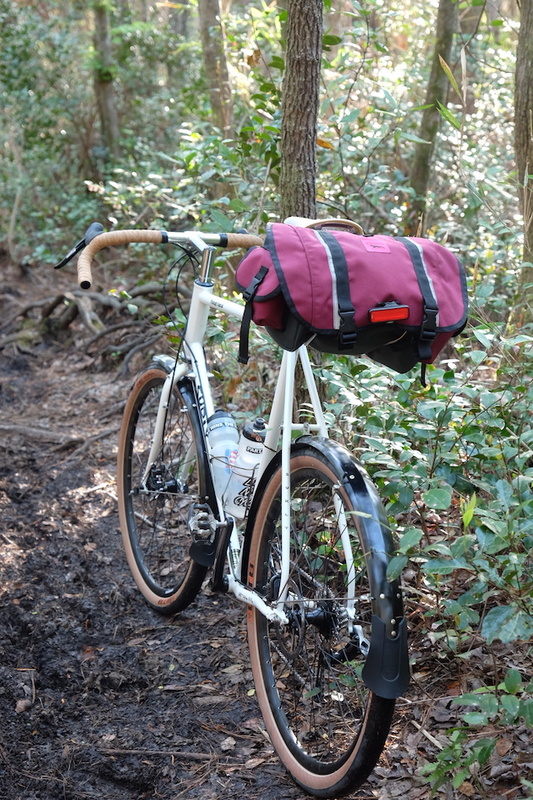 Plus, it’s just a really pretty bike and aesthetics matter. It’s got to be doing the Huracan 300+ a few years ago with my buddies the Toecutters crew from Atlanta. Chris and Drew and Patrick and Donald and Jay and Scott. We just party paced it and knocked out about 100 miles a day and camped and drank beer. It was the year the Falcons blew the Super Bowl. We watched the first half and ate like a 1000 wing at this bar before finding a place to sleep and woke up to find out that Atlanta lost. Right now, it’s got the be the ITP Wilds. I might just be homesick, but these hold the best memories for me. They’re a network of bootleg hobo trails around downtown Atlanta. 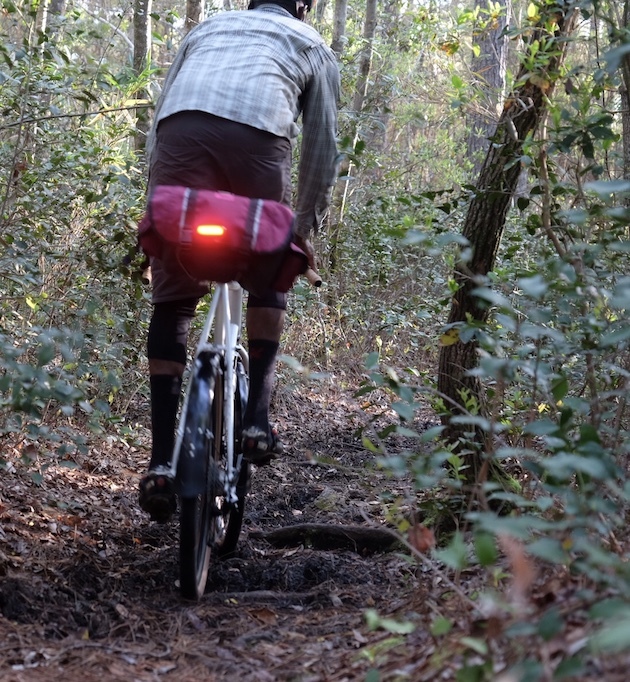 Some of these trails don’t exist and never have because you know you can’t go mountain biking in downtown Atlanta.